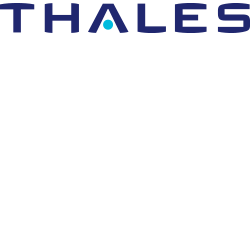 Thales Australia is a premier provider of systems, products and services in the defence, security and civil markets in Australia and throughout the world. We are part of a leading international electronics and systems group serving defence, aerospace and security markets. In Australia we number 3,200 personnel and generated annual revenues in excess of A$1 billion in 2016. With over 35 sites around the country, we trace our origins in Australia back to the 1890s. Our organisational structure is aligned with an increasingly dynamic defence and civil markets. Thales is one of Australia’s leaders in research and development spending around $100m in self funded R&D per year. We also maintain strong affiliations with the Defence Science and Technology Group (DSTG) and the Commonwealth Scientific and Industrial Research Organisation (CSIRO) and leading tertiary institutions. The Thales Secure Communications & Information Systems (SIX) Business Unit is a trusted partner of National Security organisations for ICT solutions and a leading provider in Australia and New Zealand of systems and services for secure communications, ICT infrastructure and information systems in military, government and civil markets. In particular we provide cyber security products and services to support customers in the cyber security market segment, providing a growing, end-to-end cyber security capability. TAS supplies satellites, payloads, equipment, systems and services for telecommunications, observation, navigation and exploration programmes, as well as orbital Infrastructures and space transportation systems. For a full and comprehensive explanation of Thales’s products, services and experience in defence, government and civil markets, please access our detailed website for local Australian and global capabilities.